Leawood, Kansas (January 24, 2018) – Whether you missed the movies nominated for Best Picture at the Academy Awards, or you need a refresh before the big night, AMC Theatres (NYSE:AMC) has you covered for the 12th straight year with the AMC Best Picture Showcase. 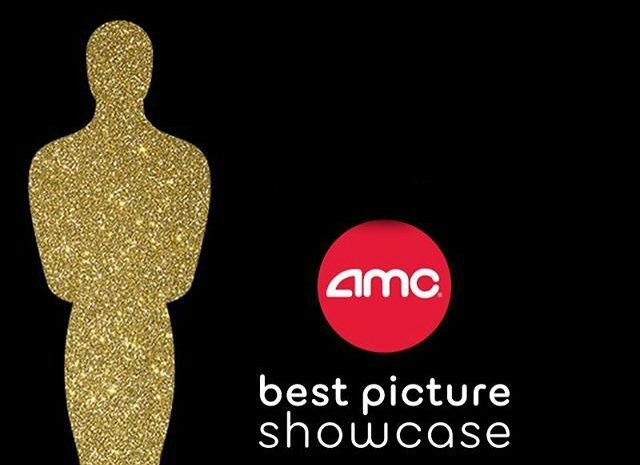 In what’s become an annual Oscars tradition for movie-lovers, the AMC Best Picture Showcase lets guests around the country enjoy all the movies nominated for Best Picture, during two Saturdays – Feb. 24 and March 3. Also returning on March 3 at select locations is AMC’s Best Picture Showcase Marathon, featuring all nine nominated movies in one sitting. The long-running AMC Best Picture Showcase has attracted a loyal fan base, which continues to grow year after year. AMC guests savor the opportunity to see all the nominees in one or two settings, evaluating in real time what movie will take home the biggest prize of the night. Participating locations can be found at amctheatres.com/bps. Pricing for the one-day, two-day and Marathon events vary by location. AMC Stubs Premiere members will receive an additional $5 AMC Stubs Bonus Bucks added to their membership card for each one-day pass purchased, up to four tickets. Premiere Members who purchase a two-day pass or purchase a ticket to the Marathon event will receive $10 AMC Stubs Bonus Bucks to their membership card, up to four tickets. AMC Stubs Bonus Bucks can be used for concessions throughout that day. This year, in addition to a collectable lanyard that serves as the in-out pass, guests will receive a code for a digital soundtrack from Focus Features, with 15 tracks from 15 films over 15 years. Each attendee can also enjoy two free cans from the new line of bold Diet Coke flavors. Beginning Thursday, Jan. 25, tickets are on sale online at amctheatres.com/bps and at the box offices of participating AMC locations. The two-day pass is available only at the box office of participating theatres. Follow the Best Picture Oscar buzz on Twitter by using the hashtag #amcbps or on Facebook at facebook.com/amctheatres. The Academy Awards will be presented on Sunday, March 4, at the Dolby Theatre at the Hollywood & Highland Center and televised live on ABC.